…Some of the best moving and inspirational music I have heard this year. Not only will you get airtime on the riverbank, but you have another fan. We have listed you as a core artist. I’m very impressed with your compositions! very nice!! Wonderful Thanks. Went to your website. Looks great! I definitely want to spend some more time looking around. Kingbathmat Ciao Giorgio, I have been listening to your music and love it. Your music is absoloutely breath taking, I will be back for more listening… WOW!!!! So so amazing. Keep it up so we all have beautiful music to listen to. Thanks for sharing your talent with us alll. IMIsound – Independent Musicians from Italy Ciao Giorgio, ascoltando la tua musica siamo rimasti davvero entusiasti e vorremo avere il piacere e l’onore di offrirti una pagina tua a IMIsound e di aggiungere un tuo brano a Radio IMIsound se questa idea ti alletta… Saremo molto felici di sentirti. From Rome with Love and Passion Somewhere sandwiched between the music of ambient/electro band Balligomingo and esoteric orchestrator Paul Schwartz is Italian composer Giorgio Costantini and frankly, that’s a fine place to be. There is a singular connection among classical orchestration, movie soundtracks and contemporary instrumental music and Costantini has not only found his way over that bridge, but he has made his own distinctive pathway. His compositions are lush orchestral works with moody scores and distinctive sparking percussion. Adagio , the opening track has a bit of Italian opera flavor, but the repast is replete with present day echoing strings and a modern dance beat. It has an expression of movement and a feeling of new found energy in the bright piano melody. It is there to get the juices flowing and it does. Tutto Amor Perduto or All the Love Lost is an extraordinary experience of Costantini’s lush orchestration with a tinge of Jan Hammer. 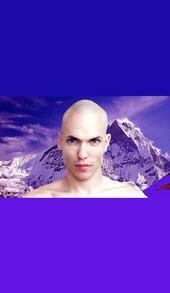 There is a bit of synthesizer and electronic percussion, but the chill goes on. My absolute favorite track is one called Nero . Brooding, grooving and exquisite. Nero, Rome’s most notorious emperor may b e watching Rome burn or being tutored by Seneca, but he is doing it to an elaborate score with haunting voices, dramatic piano with Giorgio at his best. It is a tale as old as time. I have to admit I had the repeat button on this one for quite a while. Rain , a melancholy piano piece, is pure emotion. A haunting tune that washes away the fears and cleanses the spirit. There is a pitter-patter of solace and just a sprinkle of hope. Oh yeah, it’s sad, but beautiful sad. And for a perfect follow up, Giorgio’s Arcobaleno with its brooding solo piano is the perfect song for my rainy day. Ironically, arcobaleno is Italian for rainbow. How sad that the colors of his rainbow are mottled pastels and not vivid sky brightening stripes, but the color remains ever-present and the mood a bit somber. But don’t you just feel that way sometimes?Giorgio Costantini is a music arranger and composer living in Rome. Although he has performed on tours for the last decade, recently he has turned his considerable talents to being at times a session musician and at other times writing TV and filmscores. Costantini uses the antique classical influences of Satie and Debussy and the more modern inspiration of Michael Nyman and Ryuichi Sakamoto for his musical magic. You can play him for mood music, at a dance club or for intimate rendezvous. Regardless, Giorgio Costantini will provide the perfect musical background for the occasion. Honestly I continue to play this artist for pure enjoyment whenever I am not obliged to listen to something else. If cinematic orchestration is your forte than this recording is highly recommended. “Pianopianoforte” is a gorgeous collection of piano-based pieces by Italian composer/arranger/pianist Giorgio Costantini. Costantini has toured extensively with Italian and international artists, worked on Italian television, produced an Italian rock band, and also works as a trainer at The Michel Hardy University of Psychology where he creates music for health, meditation, and relaxation. A native of Venice, Costantini has been based in Rome for close to twenty years. He has been researching the depth of emotions in the human soul and looking for a piano language that could be a “trait-d’union” between classical and pop music – “easy listening but very evocative.” Costantini sites Michael Nyman, Ryuichi Sakamoto, Erik Satie, Debussy, and Ludovico Einaudi as influences – a heady blend! I also hear a bit of early Yanni here and there, but that could be the Mediterranean influence. Most of the tracks are well-orchestrated using keyboards, but this is primarily a piano album. Lyrical and melodic, several of the fourteen pieces have the dramatic sweep of a soundtrack. The opening track, “Tutto l’amor perduto,” is one of those pieces. Using a catchy rhythm and a soprano voice, this piece is both hauntingly beautiful and uplifting with guitar, strings, and piano. A great beginning! “Elegia” is an elegant piano solo with a mood of sadness and longing. “Adagio” is more symphonic, with a simple melody line on piano and lots of strings. It feels very classical, but the background rhythm brings it into the present – a very effective approach! Satie’s influence is clear in the simple grace of “Desert,” a piano solo for about half of the piece and then a full orchestration. “Nero” is one of the “big” pieces that sounds a bit like Yanni. Piano, voices, strings, and a crisp rhythm make this piece a standout. “Rain” is another favorite. Kind of a duet for piano and guitar, background strings add a wash of color. The piece begins and ends with a melancholy melody, and has a gently flowing interlude in the middle – a great piece! “La Tempesta” begins with a strong sense of turbulence, becomes calmer, rebuilds, quiets, and just ends – I really like this one, too! “Arcobaleno” is a graceful, introspective piano solo that truly comes from the heart. Strong and evocative from start to finish, there isn’t a weak track on “Pianopianoforte.” I’m thrilled to be introduced to the music of Giorgio Costantini, and this CD is sure to be on my “favorites” list for 2006! It is available from www.pianopianoforte.com and iTunes as a download, and cdbaby.com . Sheet music is also available from Giorgio’s website as a download. Very highly recommended! “Italian musician and composer Giorgio Costantini has been meeting with some musical success in his native country for the last few years, thanks to the proliferation of his music over iTunes and the internet. Having spent time playing in orchestras as well as the recording studio, Costantini’s tastes and abilities lend themselves very well to creating his own style of neoclassical work. Costantini states some of his work is reminiscent of artists like Bach and Chopin as well as modern artists like Tony Banks (keyboardist from Genesis) and Ryuichi Sakamoto (keyboardist from Yellow Magic Orchestra). The comparison to the latter of these musicians is particularly apt, since not only do they have a strong history of performing popular music, but both have recorded classical orchestra pieces as well. 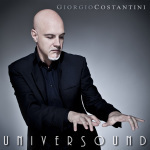 This is where Costantini’s album, Universound, finds itself, blending the sounds of classical music’s grandeur with the condensed thrill and structure of popular music. Alba Mundi” begins with a soft piano intro and at thirty seconds in, introduces a simple drum beat and the beginnings of a synthesized string section. As the song continues, the drum fills get heavier, the sound of the strings expand, and the piano playing becomes more intense. Just as the song reaches its fullest, it condenses back down to its piano core and starts to expand again, all within three and a quarter minutes. The next track, “Life” is the other type of song, a slow, piano based classical ballad. Despite these songs lacking the lush sounds of the other style, there’s a legitimate sense of intimacy as Constantini plays emotionally throughout, hether it be the quiet passages where each note feels emotionally weighted, or when his hands are quickly playing through scales. What a delight it is to start 2011 with my first CD review of the year qualifying as a “Pick”! Italian multi-instrumentalist Giorgio Costantini has released his second CD of original piano-based music, and it is an absolute beauty! Costantini’s 2006 PianoPianoForte was a favorite for that year, and Universound is of the same stellar quality. A multi-faceted composer, Costantini has written and produced music for films and television as well as for other artists. The thirteen tracks on Universound are made up of seven piano solos and six orchestrated pieces, some of which have a big cinematic sweep. Whether he is playing an intimate piano solo or a majestic orchestral work, the powerful emotions conveyed are clearly identifiable and ring true with nothing forced or overly-sentimental. Melodic, passionate, and haunting are words I would use to describe this album, and then I would give it my highest recommendation. Universound opens with “Alba Mundi” (The Dawn of the World), which begins with a lovely piano solo and then becomes more orchestrated and rhythmic. This is a great piece to start with because it demonstrates Costantini’s sensitive piano touch and then expands into a more sweeping soundtrack. It reaches a peak and then ends abruptly. Exciting! “Life” is a gracefully flowing piano solo that leaves no doubt that Costantini is a master of his chosen instrument. “Stardust” begins as a piano solo that evolves into a gently rhythmic piece with strings and percussion. Love it! “Perdutamente” (Deeply/Madly) is one of my favorites. A piano solo that becomes orchestrated as it develops, it comes from the depths of a passionate heart. “The Emperor” is one of the “big” pieces with full orchestration, choir, and piano. Almost explosive in its grandeur, it also has delicate, stirring passages – a great piece! “A Mon Frere” (Dedicated to my brother), is another favorite. A tender piano solo that expresses a very special kind of love, it’s an emotional powerhouse. “Diaro di un Giorno Perfetto” (Diary of a Perfect Day) is a light and carefree solo that dances for joy. “Oceano” is breathtaking in its haunting beauty. A slow and almost mournful solo, it expresses deep longing and a sense of loss. As someone who becomes completely mesmerized watching jellyfish, I really appreciate “Jellyfish Ballet” and its gracefully undulating movement. In this album, Giorgio Costantini offers us a wide range of very melodic themes, pleasant to listen to, and full of sensitivity. There are several pieces in a symphonic key, of an almost classical nature, and others that enter the field of romantic pop music, with some subtle traits of jazz. Well wrapped into convincing arrangements and a perfect sonority, the music is very emotional, with romantic and also solemn traits, yet without falling into an excessive sweetness. The compositions are soft, but with rhythm. The piano is the soloist instrument in some themes and passages. The artist has a well defined style that no doubt will awake the enthusiasm of the followers of the best Contemporany Instrumental Music. Another important aspect that can be appreciated in this album is the great experience Giorgio has in the musical arena. All the pieces are a clear sample of the solid talent of the artist. “Adagio” has an incomparable magic. “Nero” is most remarkable because of its great strength. “Rosso” has a very special emotional warmth. “PianoPianoForte” is, no doubt, a work that cannot leave any listener unconcerned.